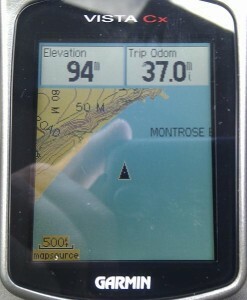 I turned my GPS on at the weekend. 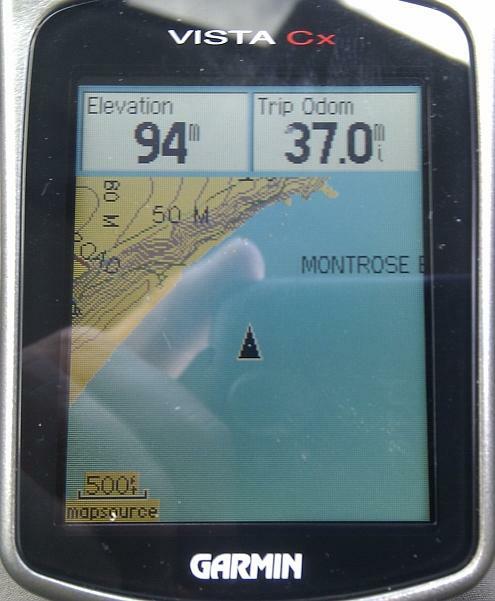 I was in North Wales, and before it had locked on to any satellites the little screen was showing my location for when I last used it – the beach at St Cyrus, my finish on the TGO Challenge. The tide was out a long way! With a rush of excitement and big smiles I grabbed a photo on my phone. I can’t wait for my next big adventure, maybe it will be the TGO Challenge in 2013! This entry was posted in Out-and-About and tagged TGO Challenge 2012 by Bryan. Bookmark the permalink. Glad to see you plan to return. I can’t wait to go back – 2014 seems a long way off! I will return one day Bryan – exactly when? I am not sure. I just finished my report of day 4 – I am getting there. Still haven’t been out in the hills though. Becoming withdrawn and irritable.